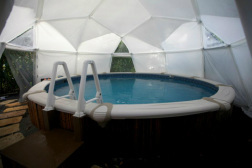 The pool at Healing Waters Sanctuary is in an enclosed area covered by a dome, which gives a womb like quality to the space. This establishes a sacred environment that creates safety, trust and a sense of belonging. The format makes it easier to move through the required healing process and into a deeper state of meditation and relaxation. 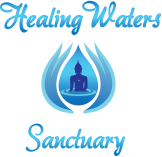 Andy’s guidance within the Healing Waters Sanctuary inspires healing while guiding you into your own healing process of openness, stillness, relaxation and rejuvenation. The water as sacred space supports the healing process and allows each to find a sense of inner peace. This allows one to move into a process of transition that is natural and fluid. Unlike a Jacuzzi or spa, the pool at Healing Waters Sanctuary holds a space used only for healing purposes. The pool was developed for the healing process that guides in transformation of body, mind and spirit.